Fans of the Wizard of Oz who are grumpy before they've had their first cup of coffee in the morning will love this Wizard of Oz Coffee Mug Don't Make Me. This cool item is not only suitable for morning coffee, as it can be used for any hot or cold beverage at any time of the day. It is made from white ceramic and can hold up to 10 oz of liquid. 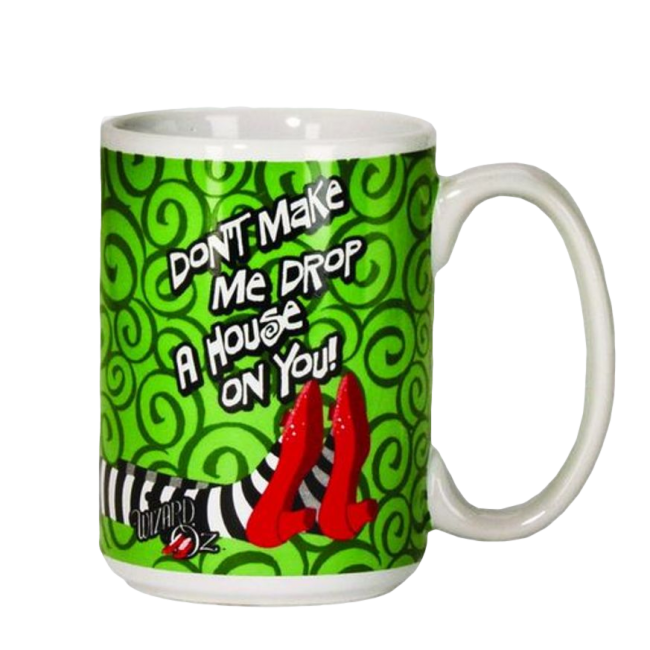 It has an illustration of the Wicked Witch's stockings and ruby slippers. The phrase "Don't make me drop a house on you!" is printed above the legs.